When you are first considering a new product or a service a lot of people would recommend that you host some form of a focus group to gather input from and gain insight to your prospective customers. People who are put in the same room, even if they don't know each other, feel they need to portray themselves in a certain light to be 'liked', so you should really take the findings with a grain of salt. It's important how you select the participants. 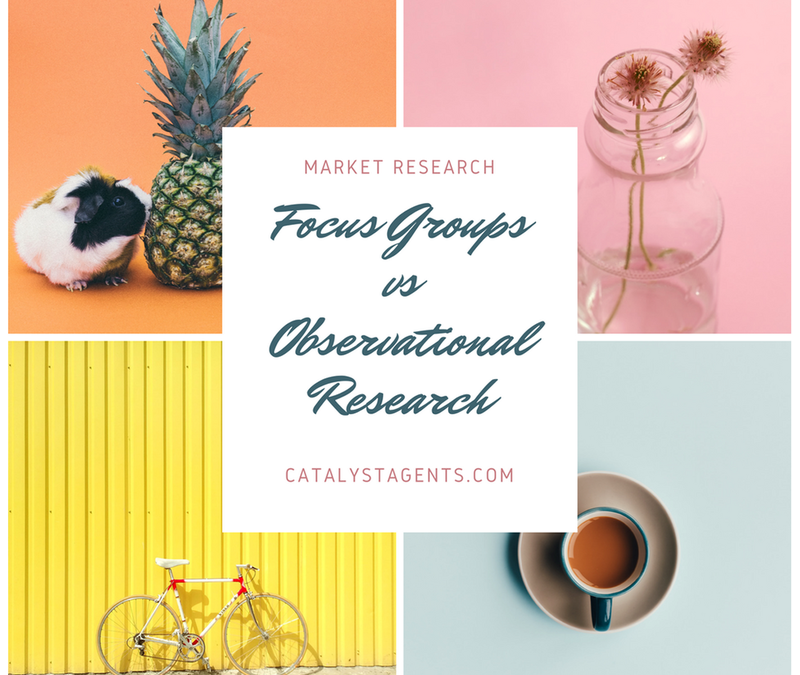 Hosting an effective and useful focus group is actually really hard, because it is GARBAGE IN, GARBAGE OUT; if you choose participants who are not representative of your target audience, you get entirely wrong data that points you in the wrong direction! You also have to find a good moderator with a market research background who knows to avoid traps such as asking leading questions. A leading question skews the response with an assumption, for example, such as 'why did you like the movie?' vs. 'on a scale of 1 to 5 how would you rate the movie?' - the first version assumes / skews the response by assuming the respondent likes the movie, the second is more objective. The make up of the focus group is also important. If there is one dominant person in the group who intimidates others into groupthink, then you can kiss objective input goodbye - the other participants will suddenly become yes women and men. Mainly the issues arise once we throw human interaction into the mix. Focus groups do have their pros when they are properly executed, where the company selects the right participants representative of the target customer, vigorously edit and review the questions to ensure there are no leading questions, and hire an experience moderator who can effectively manage the dynamics within the group to ensure a dominant personality doesn't take over the conversation. So what's a more objective way to gather research data for your new product/service. We suggest utilizing observational research as well to get a more well-rounded picture. Observational Research is a fancy word for 'just go out there and observe your customer'. What if you don't have a product yet? Go observe how your customers interact with existing competitors. We once sat in a Starbucks coffee shop in the morning counting the number of coffee sold between 7am-8am to analyze consumer behaviour to see what they ordered, how long it took, etc. It's low cost and first hand information you can gather. You see how the customer interacts with the product. Do they read the back of the box? Find it hard to carry or open the packaging? Check out the price tag first before picking up the box to read further or vice versa? You see how they interact with the environment the product is in. Do they concentrate on the products at eye level, or check out items on the bottom and upper shelf? How long does it take for them to make a decision? Do they consult a salesperson first? If they check the price tag first before picking up the box they may be a more price sensitive customer. If they only check out products at eye level, you may need to offer more in trade discounts and incentives to get a favourable position on the shelves. If a salesperson is involved, you may need to prepare educational materials to help the salesperson sell your product, because now they are part of the sales process. Making their jobs easier makes your sales conversion process easier. We feel observational research gives you more objective data to work with, even if it isn't verbally expressed to you by the customer. Often times what they express in words is not really what they are looking for, and actions speak louder than words. Want to consult our strategic insights on your business, product or service? Contact us today to set up a consultation.